It is strange how sometimes fiction manages to catch human feelings and ideas in ways that are not easy to articulate in terms of facts and models. H.P. Lovecraft (1890-1937) has been one of the world masters of the horror genre, managing to flesh out some of our deep fears. We can read Lovecraft's story "The Doom that Came to Sarnath" as an allegory of our times. The prosperous and shiny city of Sarnath had a dark origin, the violence against the previous inhabitants of the region. The drama unfolds with all the characters mentioned in the story aware that they'll have to face some kind of retribution for what they did and yet refusing to admit that. And the retribution came to Sarnath in a form not unlike what the Roman philosopher Lucius Seneca had noted when he said that "growth is sluggish, but the way to ruin is rapid," the Seneca Cliff. In our case, we know what we did to the Earth's ecosystem. We know about the greenhouse gases, we know about the slaughter of other species, we know about the pillaging of the Earth's resources. We know all that but, like the inhabitants of Sarnath, we refuse to admit it. What kind of retribution can we expect in the future? It is curious how the knowledge of the horror we did to our planet takes the shape of the tales of the horror genre. It is something modern, the ancient just didn't have it. Think of Dante Alighieri: his Comedy is all about ghosts, but there is no horror anywhere in modern terms. Think of Shakespeare's Hamlet, there is a ghost, a skeleton, a dark castle, but no horror elements. Why? But, if it is true that for everything that exists there has to be a reason, there has to be a reason also for us being obsessed with horror and monstrous creatures. And I think it is because we are creating them. Just turn on your TV and watch the news, don't you have the sensation of living a horror story written by H.P. Lovecraft? Yes, the news looks today like a horror story, complete with eldritch monsters, dark creatures from the abyss, Cthulhu, Nyarlatothep, Azhathot, Shub-Niggurath, and all the others, coming from the lost city of R'lyeh. And you wouldn't be surprised to see that the tv announcer looks like one of the inhabitants of the destroyed city of lb that once stood in front of Sarnath, screaming at you from the screen, Iä! Iä! Cthulhu fhtagn! And we will be forever prisoners of the monsters we ourselves created. Read the whole text on the blog "Chimeras". There is an interesting intersect between sociology and technology with regards to the seneca effect. We all like the upward climb and are ever resistant to acknowledging a peak as that would mean a decline so our optimism continues beyond reason purely through our collective will until it physically can't then our collective dread drags us down faster than reason dictates. This I think is what anti-catastrophist are most worried about. Yet it is technology and the irrational belief that any minute now someone, some genius, will announce a "new technology" that will solve all the problems of all previous "new technologies" and we will all be saved, that allows for society to hold on to that optimism well beyond reason. So what if the truth about technology were constantly and thoroughly disseminated throughout society until the limits were understood. Would that round out the bell curve a bit? Thank you for posting a very interesting SF perspective. From outside the science box, a profound thinker of the Theosophical tradition had this observation vis a vis our 'predicament'. "When we see the state of the world today, we tell ourselves the worst may yet happen: nuclear war, epidemics, famines, natural disasters, and so on, capable of bringing an end to humankind. But events are never absolutely certain, for they can take quite a different course, depending on human beings' behaviour. Nothing is predetermined and there is no fixed destiny, whether it be for an individual or for the world as a whole. When God created humans, he gave them free will, and they determine their own future. If they live without awareness and lead a dissolute life, they unleash chaotic currents and then of course, the laws of nature, which are the laws of justice, will lead them to their loss; it is purely mathematical. But if they think about the consequences of their actions, if they make wise decisions, if they radiate harmonious energy and no longer disturb the balance of nature, many tragedies will be avoided. Interesting – I have never read Lovecraft and apart from the obligatory canter through Poe in my teens was never attracted to the genre. Now that you have said it, ‘horror’ does seem different from ‘Mediaeval dread’. The latter does not reach me much, and ‘funerary macabre’ leaves me unmoved. I guess I do not have the religious background. 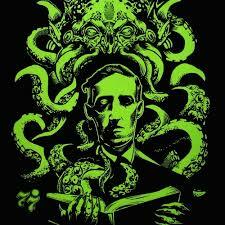 Modern ‘horror’ - Lovecraft at least – seems to be a fantasy variant of Sci-Fi with ‘myth creation’ thrown in. There might have been touches of this in HG Wells. The latter seems to have suffered some kind of ‘horror’ of his own at the end; ‘Mind at the End of its Tether‘? It might be relevant that I have known people of a previous generation who were actually scared of Science when faced with what appeared to them implications. They were not scared of technology – indeed could take a certain pride in it. I have tried to guess what it was that got to them. This was not a clash with ‘religious truth’. (I note in passing for what it is worth, Lovecraft was an atheist). As near as I can approach the matter, for the people I knew, it might have been to do with the split between ‘objectivity’ and ‘subjectivity’, which, in ways that were important to them was destructive of the way they saw the world. Personally, by and large I have been free of that split. I have found ‘objectivity’ a very useful and necessary tool, but have rarely confused it with ‘reality’. I wonder just out of curiosity if you find Roma people untroubled by the split? Curiously I see that JM Greer, whom I read regularly, suddenly a few years ago took to writing stories using the ‘horror’ tropes, but as he put it recently, (paraphrase): “standing Lovecraft on its head”. Again, I have not read these tales. I meant to add that I hope you are recovering well from the bronchitis. Well, Phil, thanks for the wishes, the bronchitis went away without big problems -- except a couple of nights spent coughing. About horror, it is a fascinating story also why some of us are fascinated by it, and some not at all. I have always been a horror fan, I read the Lovecraft's "Opera Omnia". I was so taken in by Lovecraft's atmosphere that I wrote an entire novel (not published) set in the 1920s -- it was meant to be Lovecraftian, but of course it became something completely different once I worked on it. I think the Archdruid Greer is following a parallel, although not similar path. We have several points in common, but also big differences in the way we see the world.